Doha, Qatar – In an initiative designed to raise environmental awareness and promote knowledge in an interactive and engaging way, the Ministry of Municipality and Environment represented by the Public Parks Department (PPD), Sasol, and ORYX GTL announced the launch of “Fun Days with Qatar e-Nature”, a series of family entertainment activities in seven public parks in Qatar. The announcement was made at a press conference held at the PPD headquarters and attended by officials from the organizing parties as well as representatives of Vodafone Qatar, the official telecommunication sponsor of the event. 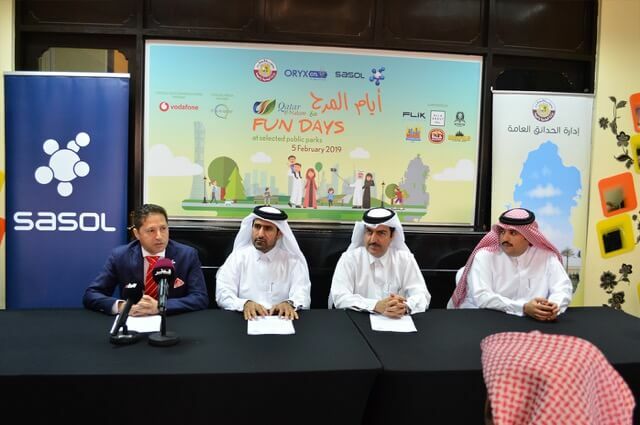 Speakers at the press conference reviewed the activities and competitions that will be held as part of the Fun Days activities over 7 Fridays. The event starting from 8 February till 22 March 2019, from 2 to 6 pm every Friday. The activities will be held consecutively in Izghawa Park (8 February), Al Shahaniya Park (15 February), Khor Plaza Park (22 February), Celebration Square Park – Al Daayen (1 March), Al Legtaifiya Park (8 March), Al Shamal Park (15 March) and Al Wakrah Public Garden (22 March). Each park will host a fun day so that all areas and communities in Qatar will be covered. The Fun Days with Qatar e-Nature will feature exciting competitions, fun activities, planting experiences, and interactive games. Also, in addition to it they have various sports such as Zumba, Karate, and kickboxing. Gymmito Fitness Club will present a balance game for children; Vodafone Qatar will present an augmented reality game to educate children about online safety; and Sasol will present a “small steps for healthy habits” game.  Moreover, “This is Qatar” will offer photography workshops for adults. Winners in the weekly contests, and in a draw that will take place at the end of the Fun Days, will receive valuable prizes presented by the sponsors and supporters of the event including Vodafone Qatar, Flik Cinema, AURA, and Baladna Farm. The prizes include mobile phones, cinema tickets, entertainment vouchers, and more. Qatar e-Nature is the first smartphone application of its kind. It sheds light on Qatar’s rich environmental diversity. Sasol cooperated with the Friends of the Environment Center to develop the application to promote environmental awareness and sustainability. The application is available for download free of charge on Apple Store, Google Play and Windows Store. This Is Qatar is proud to be the Media Partner of this event. Stay tuned for more updates regarding this event! Next articleGet Active this Qatar National Sports Day 2019!